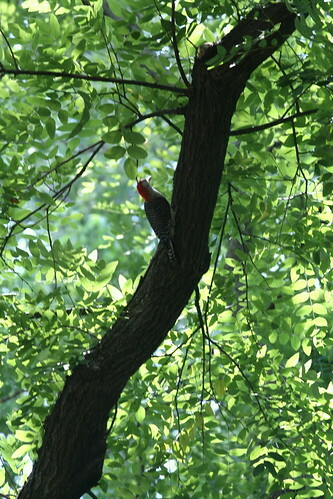 We were walking outside of the bird section of the National Zoo in Washington DC and heard a rat-a-tat-tat-tat. 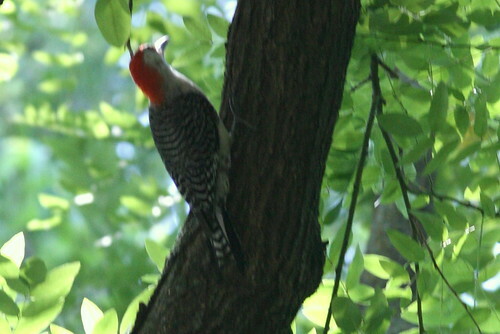 We looked up and saw this red-bellied woodpecker. He was definitely not on display. Perhaps he was visiting his avian brothers.